Since the series “Tidying Up With Marie Kondo” has been recently released on Netflix it has quickly become a growing phenomenon. You can certainly find several articles on ways to organize in the month of January, as the new year brings with it new things. The Marie Kondo Effect - takes things to a higher level of mindfulness in a well organized home. As a youngster Marie was enchanted with organization and started her own business while attending University in Tokyo. 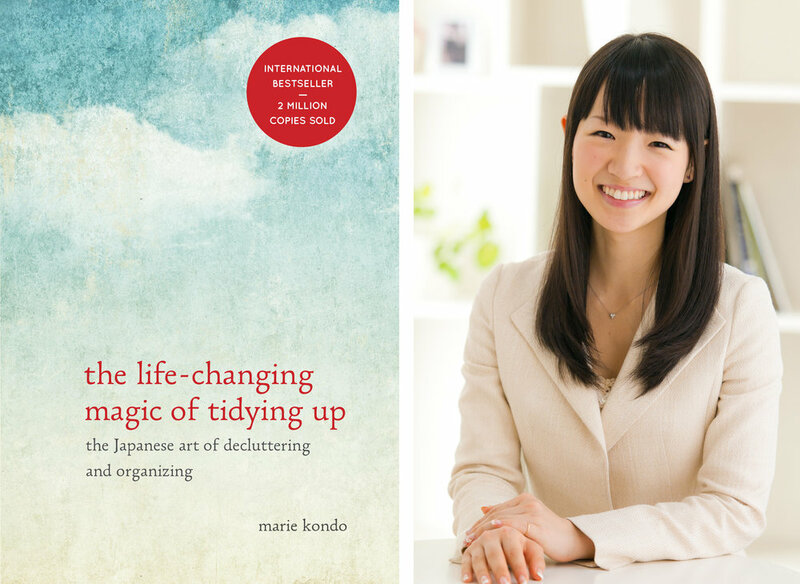 Having created the KonMari Method which is a state of mind - to cherish things that spark joy in one’s life. She now has consultants around the world that help people to learn the art of tidying up as a way of life. Her book serves as a quide to help people move forward through major life changes beyond the home as well as creating the habit of keeping organized as a lifestyle. It is easy to get lost in the quiet calm of Maries voice and feel swept away in learning how she keeps a home together. In her method she starts with thanking the house for being a protecting shelter and being there daily for its owner. As she begins with category one Marie encourages people to collect all of their clothes and determine, by feeling them, whether they spark joy and if not… letting go of them by thanking them and putting them in a pile to donate or discard. Her folding method of creating a half inch rectangle and stacking items upright is so that things are easily viewable. Which helps to keep ones mind clear to make quick decisions and go about their day. She then moves through the categories helping to group like things, organized into boxes and trays. Marie explains that clutter effects relationships within the atmosphere of a space. By choosing joy and learning to tidy up together it can strengthen bonds in each others relationships. Teaching children the art of tidying while they are young will give them the skills to create the habit before they grow older. They will learn this from watching how you tidy up. She also recommends bringing sentimental items into the home as a reminder of the joy that has brought a couple and family together. A few tips she shares regarding the kitchen and pantry are to check expiration dates of food and organize by food type. With purchased clothes and boxes from incoming mail she recommends to remove tags immediately and place items where they will be stored in the home so they become your belongings. Paper documents get put in two piles, one “to be saved” and the other “to be dealt with” setting a calendar reminder to handle them. In catch-all areas gather similar items and separate into subcategories to easily view so as to not let them continue to pile up. As you may see in her series clearing the clutter does bring magic into a home… it is seen within the process of learning to live with less non-joyful material things, letting them go and sharing with others in the responsibilities of a home together. We interviewed a professional organizer and asked him a few questions on his perspective in making organizing a lifestyle. 1) When is it a good time to hire a professional for organizing? Charles: It’s always a good time to reach out for help on basic organizing. We’re here to help guide folks towards living a more simple and efficient daily life through organizations. We help in clearing clutter and creating customized systems of maintenance…and this is something a majority of our customers need. Whether on a minor scale or within an entire household. This can ultimately change the way you live and eliminate the overwhelm and stress caused by surroundings and potential bad habits. 2) Is there a project to small or too large you would tackle? Charles: Nothing is ever too “small” a project for me. Even if you think it’s something really minor, chances are it’s going to make a huge impact on your life. On the flip side, I refer larger more extreme cases to a professional team in what’s considered, “Level 5” Hoarders…like what you see on television. I am a team of one and those scenarios often take additional help in the field of psychology and extra hands for removal to tackle. 3) What is the number on mistake you see with clients? Charles: There are two mistakes I see new clients make on a fairly frequent basis. The first is purchasing containers as a “tool” before knowing what and how much of your belongings need to be contained, is simply a waste of money and time. People have come to believe containers to be the ultimate savior when it comes to getting organized, when the systems are what really make the difference. The second mistake being that clients will “clean up” before I get there. I can’t truly see what their daily habits look like and customize new routines if they hide how their space usually looks. There is no judgement on our end…we would rather see the true clutter. We also interviewed a good friend and national renown extreme cleaning expert featured on the hit television show Hoarders. To get some insight on his thoughts on the topic. Here are some questions that Matt answered to expand on extreme clutter cases and his views on the Marie Kondo method. 1) When is a good time to call an extreme clutter expert? Matt: Reach out to a therapist before you reach out to a cleaning expert for extreme cases. If you are a family member that wants to help, let the hoarder know you care about them, you know they are struggling and you are ready to talk about it with them when THEY are ready. 2) What would be a good average percentage of homes you experience a year that are to the extreme? Matt: National statistic is 5% of America struggles with hoarding, which is just under 15,000,000. That’s a big number… it’s a real thing and people shouldn’t be embarrassed. Everyone in America knows someone who struggles with hoarding. 3) How often would you recommend people keep up with clearing the clutter? Matt: Technically, I think people should clean up DAILY. Its like physical fitness or diet. It’s something you work on and dedicate time in your life to. I clean every night before I go to bed, so when I wake up, the home is fresh and ready to go. Also, if you clean 10 minutes a night, the house never gets too far away from you. 4) Do you have any resources of companies that aren’t widely known for donating or who pick up discarded items? Matt: I focus on LOCAL, not national donation centers. Give to places that GIVE the products to people in need or give legit well paying jobs to people that need work. Personally I support “Dress for success, Amvets, Tech for Troops, Catholic Charities, Soles for Souls and St Joseph’s Villas. My hoarders and myself tend to stay away from retail focused donation companies. 5) Any words of encouragement to share with others to keep tidy? Matt: Yeah, just tell people that’s it’s just stuff. It’s not the most important thing in the world. We keep stuff because of the memories and people attached to those items or what we hope people will think about us for the items. Focus on your real life, your actions, your experiences and the stories, the memories, NOT the stuff. Botton line, is Marie Kondo right? Not sure that her method works for everyone, I know it doesn’t work for my hoarders but she definitely isn’t WRONG. At the end of day, we are looking for joy, for happiness and unfortunately, we attach a lot of our self-worth and happiness to stuff….that’s the problem. It’s not the simple, but her method is rooted in positivity, which brings me joy. In working with an Interior Designer regarding the organization of your home they will help to choose proper furnishings that create inventive and much needed storage to be aesthetically pleasing as well as efficient to use. You may need additional closet space in your master, kitchen pantry or office. Calling on an expert in the field can help lead you into not only - visualizing the destination of a clean home - but making it a reality as well. Once you’ve applied the method or called on an expert for organizing your home… setting a clear strategy for routine tidying. It’s likely that you will find storage you may already have to group like items. However we’ve also found a few resources for simple containers and trays to potentially help with your process in “the life-changing magic of tidying up”. 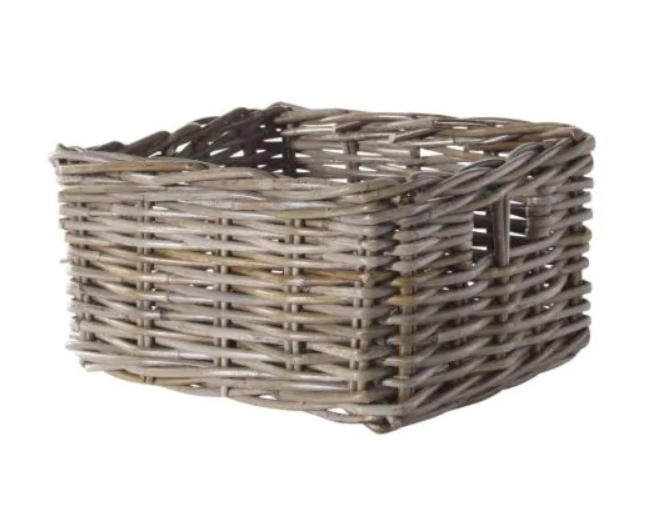 We hope you have enjoyed reading more about tips on a well organized home. As home interiors is what we do… we understand the value of keeping it a happy place not only for ones self but also for the loved ones around them.